Purewave® Subdermal Endermatherapie System: Our system lets you go beyond simple vibration & percussion for new and advanced body treatments with improved results! Please Note: This protocol is offered exclusively as part of the SomaVeda® Therapeutic Day Program! Why prefer or use the PureWave CM7? The PureWave CM7® Subdermal Therapy System performs over 20 new advanced endermic techniques for extraordinary results and benefits. Now you can enjoy, contouring and rehabilitation services with dramatic results. Unlike single function equipment, the PureWave CM7’s variable speeds, patented directional movement and patented applicators allow the technician to customize treatments to meet specific client needs. We call this the right use of technology! These therapeutic applications are designed to be a part of a complete or comprehensive SomaVeda® Therapeutic Day program for whole person, whole body and whole life wellness and balancing return to what the creator intended! With the PureWave CM7 Subdermal Therapy System you can provide your clients proven non-invasive body treatments that improve health and lift self image. 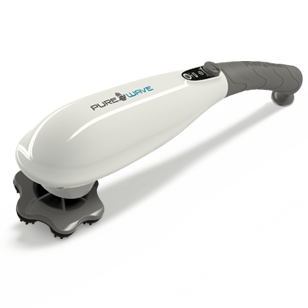 The PureWave CM7 uses gyratory vibration, percussion and its patented multiple-direction stroking action for superlative body treatment results. Want to know more? Click here to learn more detail on just What is Endermatherapie? 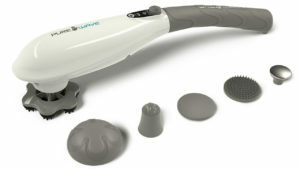 Vibratory Endermatherapie is the unique PureWave CM7 technique and process that shapes the skin and body with special applicator heads. Only the PureWave CM7 System simultaneously provides three forms of vibration treatment to stimulate and nourish your skin and tissue to help you achieve a firm and sleek contour. The vigorous massaging action of the PureWave CM7 aids in breaking bonds between fat cells while the Celiminate helps dissolve and flush away the cellulite. Regular PureWave CM7 cellulite treatments help you achieve a more compacted, attractive skin appearance. The multiple-direction and abrasive effect of the special PureWave CM7 exfoliation applicator is highly effective in stimulating blood circulation. Exfoliation loosens and removes dead skin cells while leaving the skin soft, supple and radiant. Gx-99 exfoliation encourages the gentle removal of surface skin cells to promote a more youthful, glowing complexion. Our bodies naturally shed over 500 million dead skin cells each day. Exfoliation is our best defense against the aging process because it accelerates the production of new skin cells. Gx-99 exfoliation treatments help to stimulate new cell growth and beautify the skin. The PureWave CM7 System improves the low of lymph throughout the body. Regular PureWave CM7 treatments stimulate and improve the elimination of waste products (via the lymph) and strengthen the immune system. There are lymph vessels and lymph nodes throughout the entire body. The lymphatic system plays an extremely important part in fighting infection and increasing immunity to disease. The lymph system also acts as a purification and drainage system for the body. Unlike our blood circulation system, the lymphatic system has no heart to pump lymph throughout the body. As a result, pressure in the lymph vessels tends to be low and is easily restricted, causing pooling, swelling, toxic build-up and/or other complications. PureWave CM7 treatments stimulate and increase the movement of lymph so you receive the healthy and important benefits of improved lymph flow and detoxifying drainage. Only the Superior Professional Endermosonic System includes digital control to perform accurate therapies. With a large selection of applicator heads you can achieve better results and provide safe, non-invasive treatments. Infrasonic- Producing exact vibratory waves with controllable pulsation at frequencies ranging from 0-20 Hz. Infrasonic Therapy utilizes slow vibratory waves that are very deep and wide. Infrasonic waves increase blood flow and circulation and help stimulate muscle regeneration and tone. The slow waves travel deep beneath the skin and are ideal for percussive therapies that require breaking up fatty deposits. Medasonic- Producing exact vibratory waves with controllable pulsation at frequencies ranging from 21-40 Hz. These vibratory waveforms pulse more frequently than Infrasonic waves. As the Medasonic vibrations increase, the waveforms decrease in width. Medasonic therapy brings blood to the subcutaneous layer allowing for the performance of treatments requiring less vibratory stimulation. At this level we reach the deep dermal layers for tissue regeneration & stimulation. Plurasonic – Producing exact vibratory waves with controllable pulsation at frequencies ranging from 41-60 Hz. Plurasonic waves are narrow vibratory waves that pulse in constant rapid formation at the high end of Sonic Therapy frequency. Plurasonic vibratory treatments penetrate superficially for circulation, oxygenation and nourishment of the tissue. Traditional vibration and percussive systems offer limited capabilities, but PureWave CM7 includes a total of 6 actions that go beyond simpler vibratory therapies. What to expect… Before and after photographs. These are actual patient photo’s taken from Cellulite reduction program participants used with their permission.